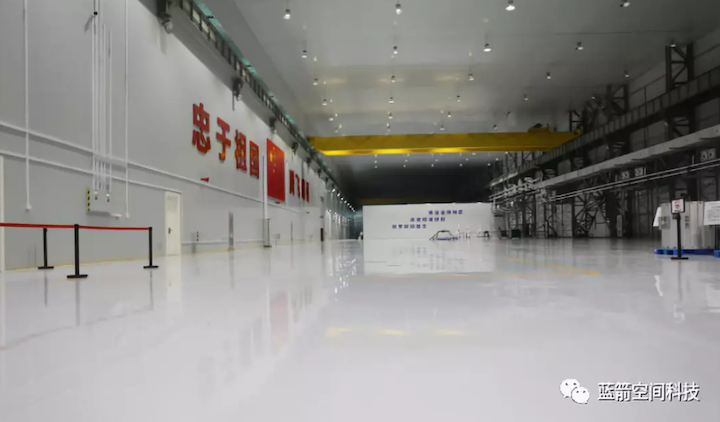 Chinese launch company Landspace has initiated operations at its intelligent manufacturing base in Huzhou and will soon test the firm's newly developed Tianque-12 (TQ-12) methalox rocket engine. The base, located in Zhejiang Province, will see production of Landspace's Zhuque-2 (ZQ-2) liquid methane and liquid oxygen launch vehicle. Zhang Changwu, founder and CEO of Beijing-based Landspace, told Chinese media on Thursday that the base was currently being used to conduct technical tests on new rocket engines. The facility will boast the capacity to produce 15 ZQ-2 launch vehicles and 200 methalox rocket engines annually by 2022, according to Zhang. According to ECNS, a senior manager at Landspace said the reasons behind the company setting up a factory in Huzhou include the fact that the city has been a testing base for state-owned space contractors for a long time, while the local government is supportive of private businesses and is eager to upgrade local industries. Landspace in November secured 300 million yuan (US$43.2m) in B+ round financing for development of its Zhuque-2 rocket, which it aims to debut in 2020. Landspace carried out a test-firing of the combustion chamber for the Tianque-12 engine in Huzhou in September. The progress comes despite the failure of the company's first launch attempt, in October, which was due to an issue with the third stage of the Zhuque-1 solid-fuelled rocket seeing the payload failing to achieve orbit and plummeting into the Indian Ocean.